Backpacking AT & Long’s Path to a Favorite Swimming Hole in Harriman State Park! Which way to Lemon Squeezer? It was an early June Saturday morning and temperatures were forecast to be in the 90s with high relative humidity. Yet members of the Green Bar and two Eagle Scouts could not be dissuaded from leading former Scoutmaster Don W. and current Scoutmaster Tom M. along Long’s Path to their lunch time destiny: Lemon Squeezer–an interesting series of rock crevasses that managed to keep an air temp nearly 15 degrees lower than the surrounding hot environment. From the parking lot at Lake Tiorati, the crew trekked about 2.5 miles up and down several hundred feet of elevation. It was so hot and humid that the rocks in the trail were “perspiring”. Monitoring water intake was critical in the oppressive heat–as everyone needed to maintain enough water to prepare dinner that night. Upon arrival (and relief) at Lemon Squeezer, however, the scouts turned their attention to the nearby beautiful Island Pond, less than 1/4 mile away. The water at Island Pond was too inviting and before long, full-time Lifeguard and Eagle Scout Mike F. gave the green light and just about everyone replaced the drenched sweaty moisture in their clothes with cool refreshing water of mountain lake. After a quick bite, it was on to the Appalachian Trail (AT) with beautiful Fingerboard Ridge as the campsite destiny. The afternoon hike was a struggle as water supplies were running low. SM Tom M. showed the Green Bar boys how to gather debris-free water from a running stream and then instructed them on chemical purification. The purified stream water was used for dinner as regular water supplies had been depleted. Matt S., prior to refilling at the stream, appeared to be suffering from mild heat exhaustion, so the down time to refill water bottles was needed for more than one reason. After arriving in camp that afternoon, everyone enjoyed a relaxing evening, threw the frisbee at dusk, witnessed an enormous storm that passed south of Harriman State Park and received expert advice about proper attire needed to hang a bear bag from Eagle Scouts Mike F. and Josh W. Exhausted, everyone fell fast asleep, dreaming of cool afternoon swims. As the Scouts and Scouters packed up and headed home early the next morning, all reflected on the valuable lessons learned about the importance of water to the human body and vowed to “be better prepared” next time for the beautiful, yet tough, conditions in Harriman State Park. Dive into these memorable pictures! 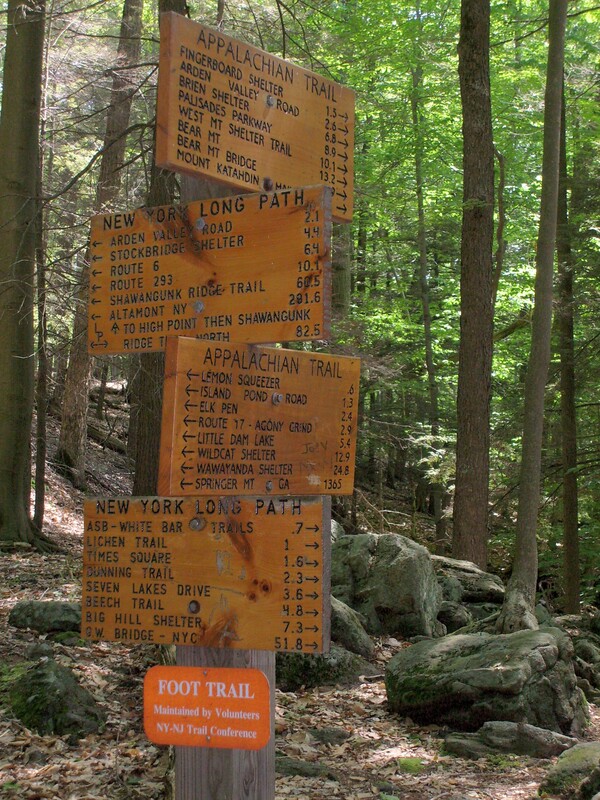 Author scoutmasterPosted on June 13, 2008 April 22, 2009 Categories Activities, Camping, Events, Hiking, PhotosLeave a comment on Backpacking AT & Long’s Path to a Favorite Swimming Hole in Harriman State Park! 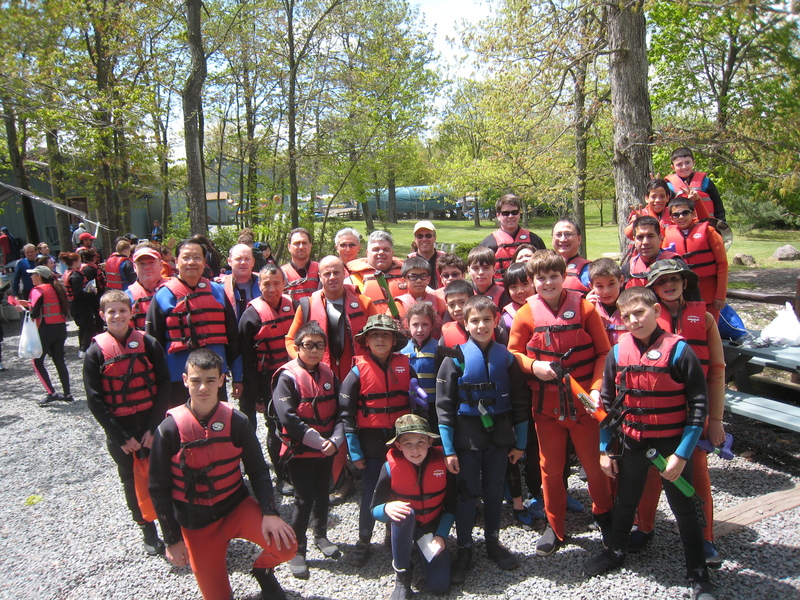 With scouts of troop 353 needing to earn at least 3 hours of service in order to attend the popular white water rafting trip down the Lehigh River Gorge, there was a tremendous turnout of eager rapid-ready river rats! Within the Lehigh Gorge State Park, where the rafters started their 6-hour journey, the rhododendron were as dense as a rain forest and days away from blooming. This popular destination attracts scouts and other youth groups from all over the the mid-Atlantic region, particularly when the weekend is designated as a “dam release’ one which creates Class I, II & III rapids! Perhaps the biggest challenge for most boys was finding a wetsuit that fit properly. Once on the river though, the wetsuits proved invaluable due to the numerous water fights. This was particularly true for one mom that bravely ventured down the river, as she appeared to have been stuck in the raft with scouts most likely to be targeted for water wars. Perhaps one of the more memorable moments of the day was at the beginning of the river journey when a raft broad-sided a rock and promptly deposited scout Brad M. onto its small warm surface, and quickly left him temporarily stranded until another group of novice rafters haphazardly wondered by to rescue him! As you can see in the accompanying pictures, smiles were plenty that day! Banzai! 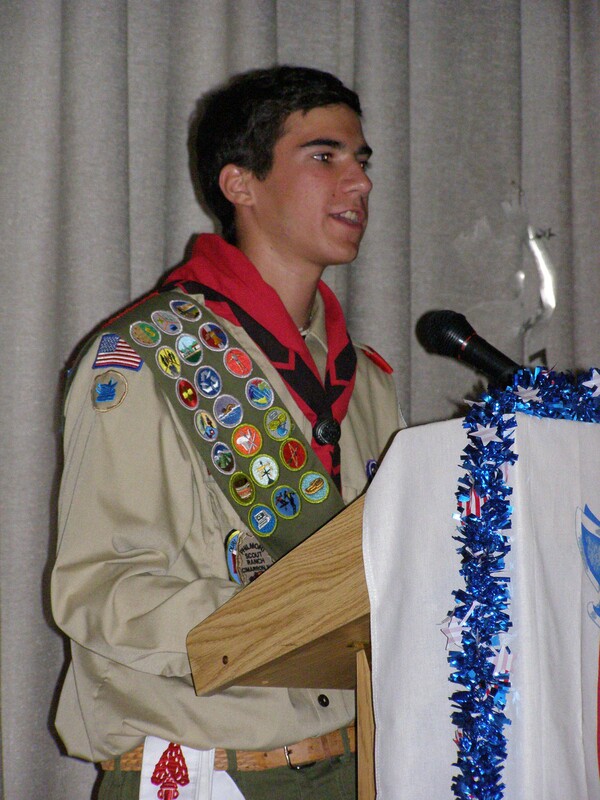 Author scoutmasterPosted on June 4, 2008 April 22, 2009 Categories Acquatics, Activities, Events, PhotosLeave a comment on White Water Rafting!